The main point of doing SEO is to have your website rank better on search engines. Ideally, you want to get your webpages to be on the first page of Google for the keywords you’ve targeted, and even more ideally, you want it to be at the top spot. The general view for SEO is to target a short-tail/long-tail keyword, optimize for the keyword, and get better ranking for that webpage. 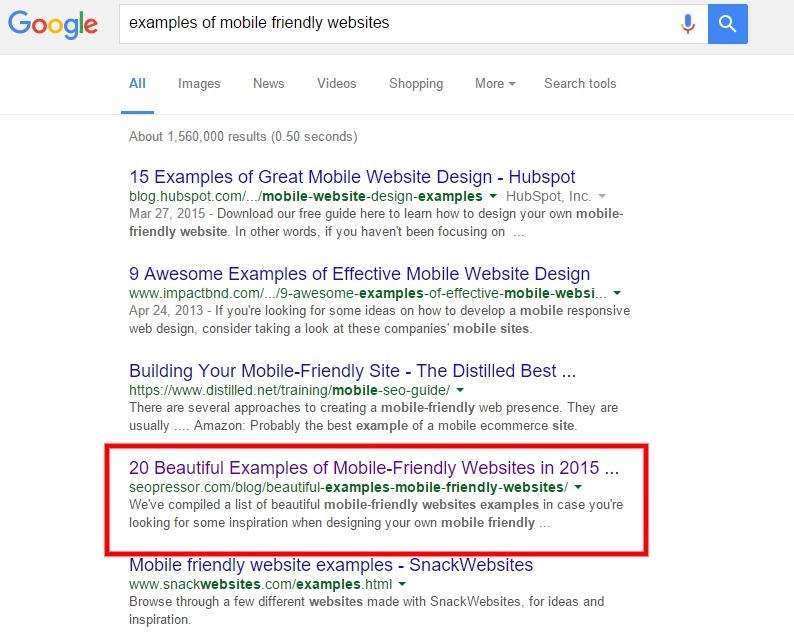 But in this article, I’m going to provide another perspective on SEO. Instead of targeting only one keyword/search query, how about targeting 3 or more different keywords and getting all of them to rank well? Is It Possible To Rank For Multiple Keywords? The short answer is it’s difficult, but it’s definitely possible. The level of difficulty varies depending on the size of your content. Obviously, if your content is a big content (or as they call it 10x content) that covers plenty of topics or cover a topic very in-depth, has over 5,000 words or is mapped to many other resources, you have a great chance of ranking for plenty of keywords and plenty of search queries. However, not many of us are able to create this kind of big content, or create them as frequently as we wish to. So what about the average blog posts? 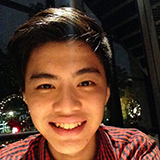 Why does SEOPressor allow users to target up to 3 different search query? It’s hard enough to get ranked highly for 1 search query, what more hope is there to rank for 3 different search queries? 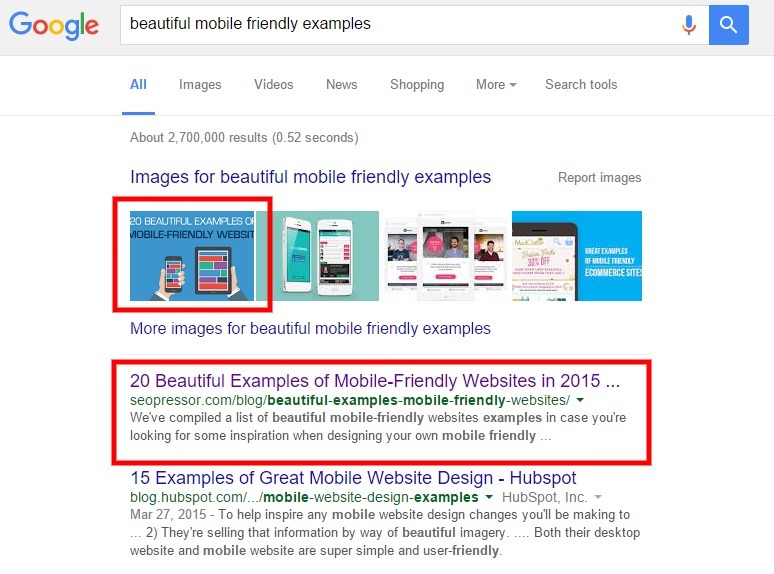 Besides ranking number 1 for this keyword, the feature image of the post is also ranked on Google image search. So, How Did We Rank For Multiple Keywords? It is easier to rank for multiple keywords when your content is big. But creating big content requires a lot of time and effort and it is not something most companies have the resource for. Alternately, what you can do is write several standalone blog post that talks about the same topic and interlink them. What this does is it creates an illusion to Google that you are creating a big content for that topic and you are an authority when it comes to that subject. 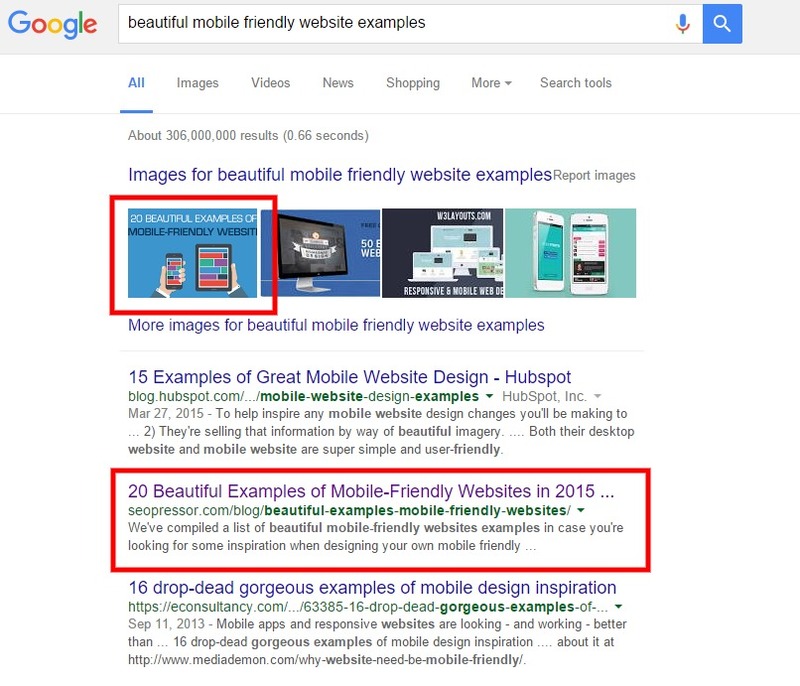 For example, the blog post shown above “20 Beautiful Examples of Mobile-Friendly Websites in 2015” covers a small part of the topic mobile-friendliness. 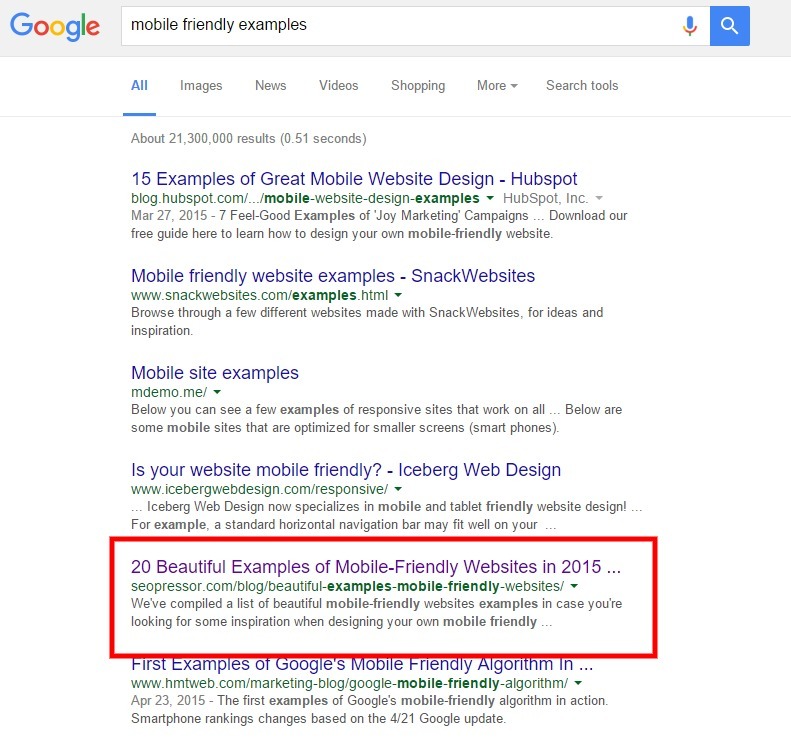 And since we are an SEO company and most of our blog posts are about SEO, Google wouldn’t think that we’re an authority when it comes to mobile-friendliness. Hence, Google wouldn’t rank our content highly if we only have one odd blog post regarding this topic, our domain is simply not strong enough for this topic. After you have created a series of blog posts regarding a topic, you could even spend some time to compile and organize all of them together into one big folder. Once you’ve done that, Google will see that you have a big content on that topic and will definitely rate your pages highly. LSI Keywords stand for Latent Semantic Indexing Keywords. They are keywords that are semantically related to your target keyword. Having LSI keywords throughout your blog post will help Google determine what your blog post is talking about and that would strengthen your SEO score. For example, if your blog post is about the Cupertino-based phone maker Apple, then your LSI keywords should probably be along the lines of iPhone, iPad, Steve Jobs, iPod, Tim Cook, etc. Without these LSI keywords, Google would have a hard time understanding if the Apple in your blog post is about the phone maker, or the fruit itself. 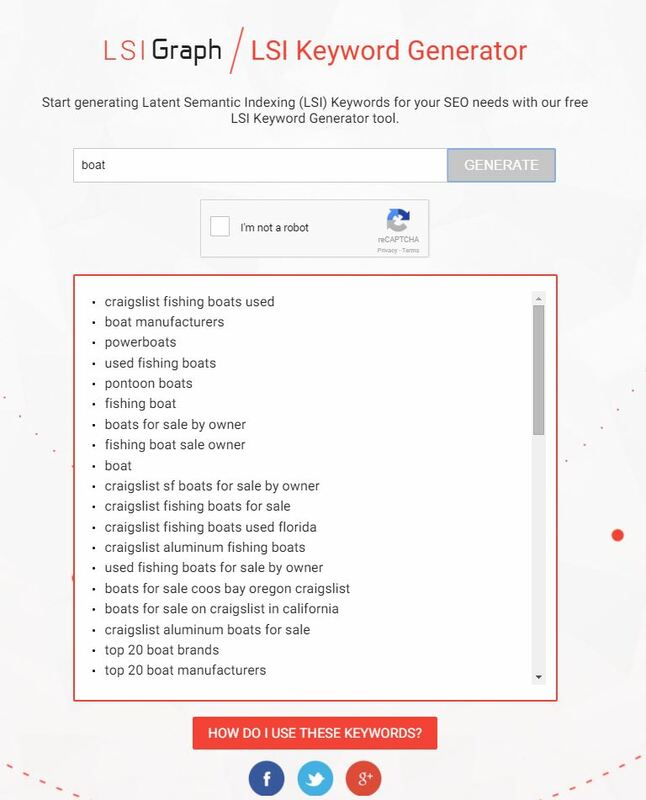 This is why our plugin, SEOPressor has an LSI keyword recommnedation based on your targeted keywords. This is so you could conveniently check what are the LSI keywords available for you and if you could include any of them in your blog post. For people who are not using SEOPressor, you could still get LSI Keyword recommendation by going to LSIGraph. All you had to do is to key in your keyword, and it will generate up to 50 LSI keywords for you, free! As you can see from the example above, all the keywords that my blog post are ranking for are 4 words and above, with the exception of 1 keyword being 3 words long. There are plenty of reasons why you should target long tail keywords over short tail keywords but that is content for another post. Generally, you have a better chance of ranking for long-tail keywords because they are much more precise and relevant to your content. 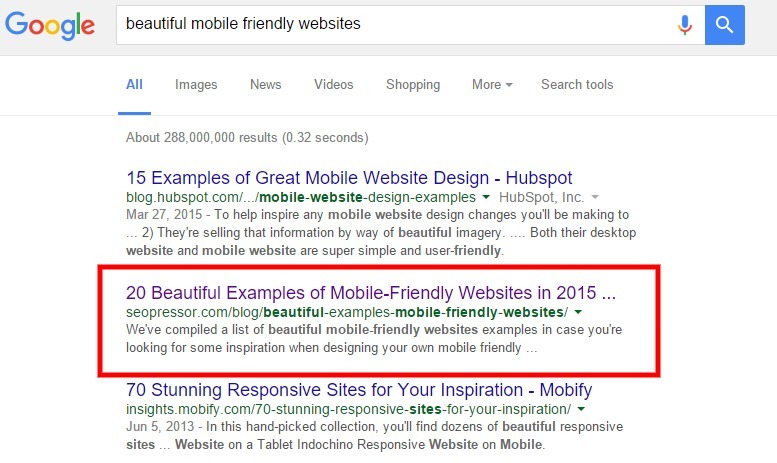 To decide which long tail keyword you should target, do read up on this post. The key to ranking highly on so many different search query lies in ranking for 1 search query very well. You want to identify the best primary keyword in your blog post that has the highest chance of ranking in the 1st page of SERP, then include LSI keywords of that keyword around your blog post. Make sure that the primary keyword you targeted is present in as many places as possible, this includes your URL, your blog title, your meta description and throughout your subheaders and content. 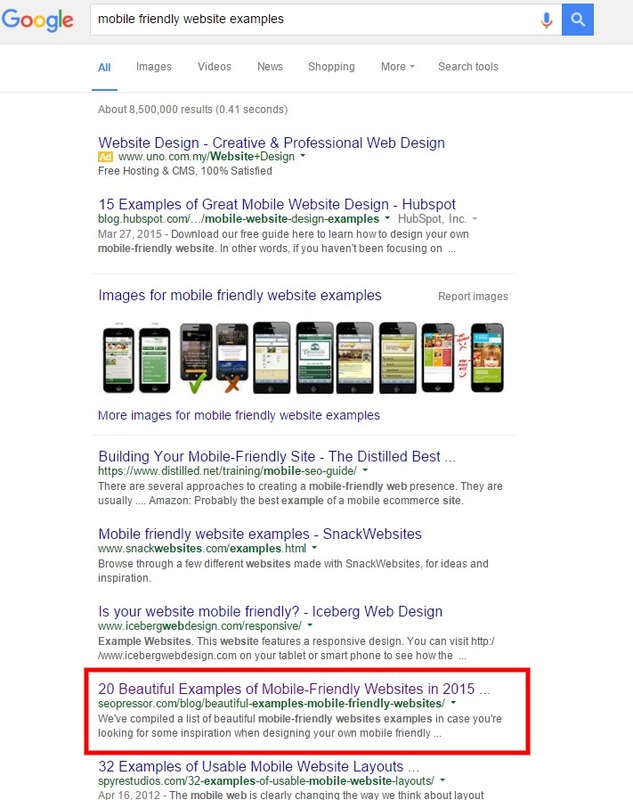 Just make sure you are not stuffing these keywords unnaturally or else Google will penalize you. Once you have done that (along with other optimizations you should do), there’s a high chance that your content will rank highly for that keyword. And once you achieved that, there should be a spillover effect where your content is also ranked highly on different variations of the keyword and some other LSI keywords. As you can see, targeting multiple keywords is not redundant at all. SEOPressor allow users to target up to 3 keywords because it is possible to rank for more than 1 keyword. 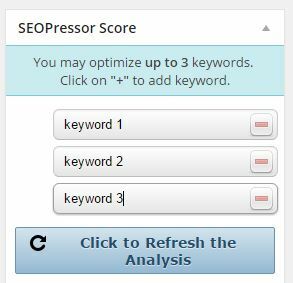 With SEOPressor, optimizing all 3 keywords is a breeze as all the suggestions are provided, all you need to do is to follow them. Pros & Cons of each search dimensions. Discover what triggers special search case. Learn to utilize different type of results. All these in a compact, easy to read form!